The migration is in full swing. 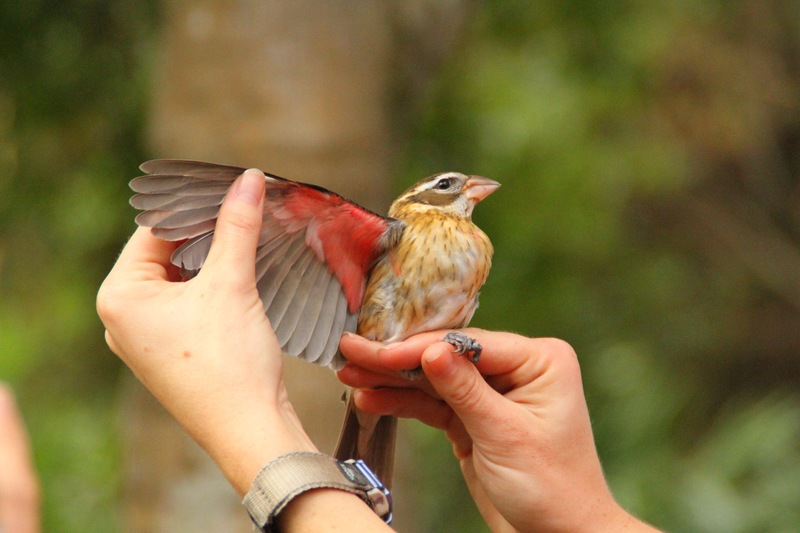 We had a good day yesterday capturing 30 new birds plus 4 recaptures. It made for a fun day for the 34 visitors throughout the morning. 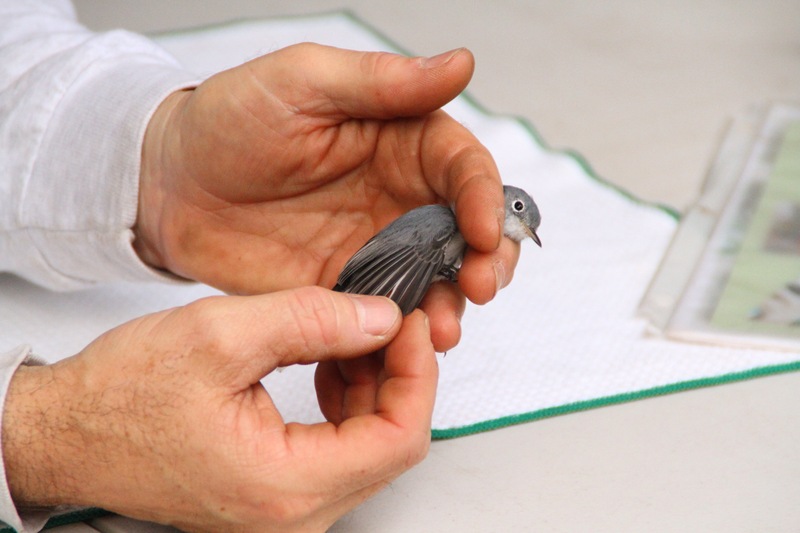 The new species were a young male Rose-breasted Grosebeak and a cool Tennessee Warbler. Very exciting! First for the station young male Rose-Breastes Grosebeak! Nice salmon color under the wing is a key characteristic of young males. 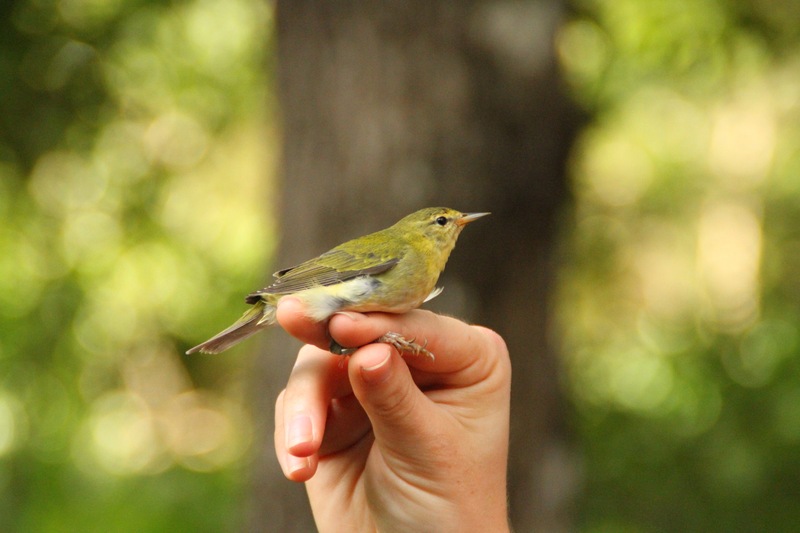 The Tennessee Warbler is conspicuous in its drabness. 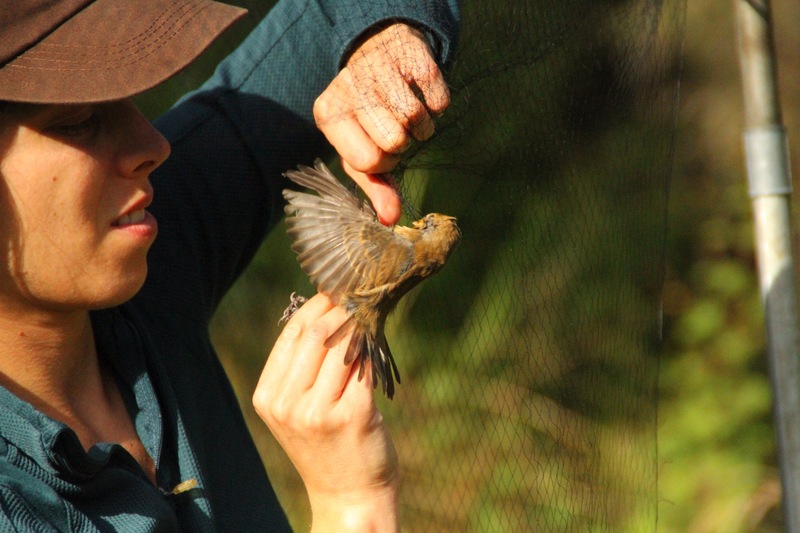 Anastasia removing yet another young indigo bunting. 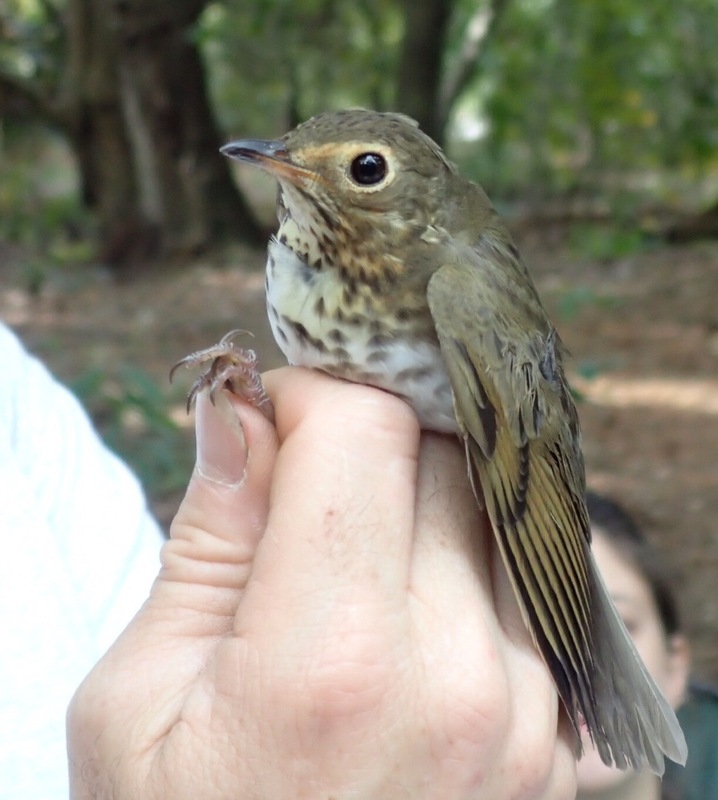 Things are picking up with our fourth banding session of the fall season. The morning was breezy and a bit overcast and there were migrants all around. Lots of indigo buntings were being heard around the little open field area. As a result, the nets on either side of the field were pretty productive. 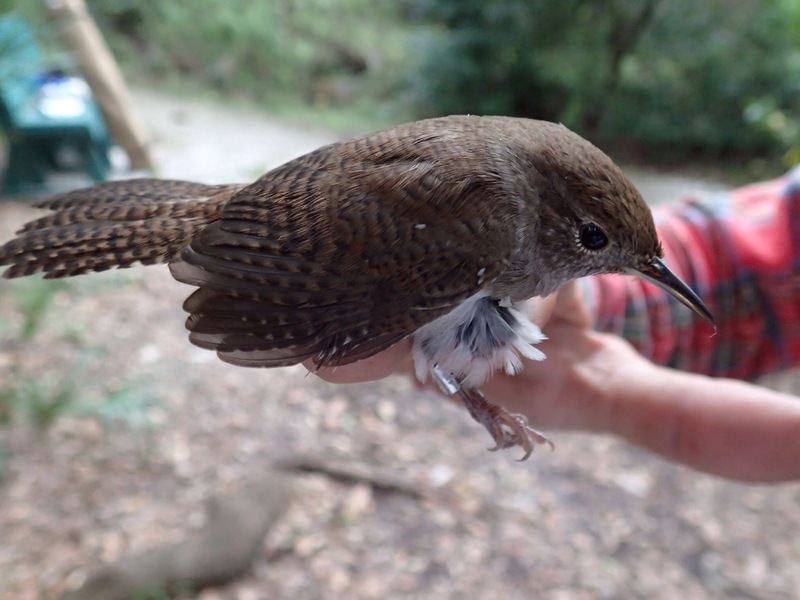 The first two birds captured were 2 House Wrens which are the first of the season. I had forgotten how small they are compared to the Carolina Wrens. The big winners for the day were the Gray Catbirds with Indigo Buntings a close second. 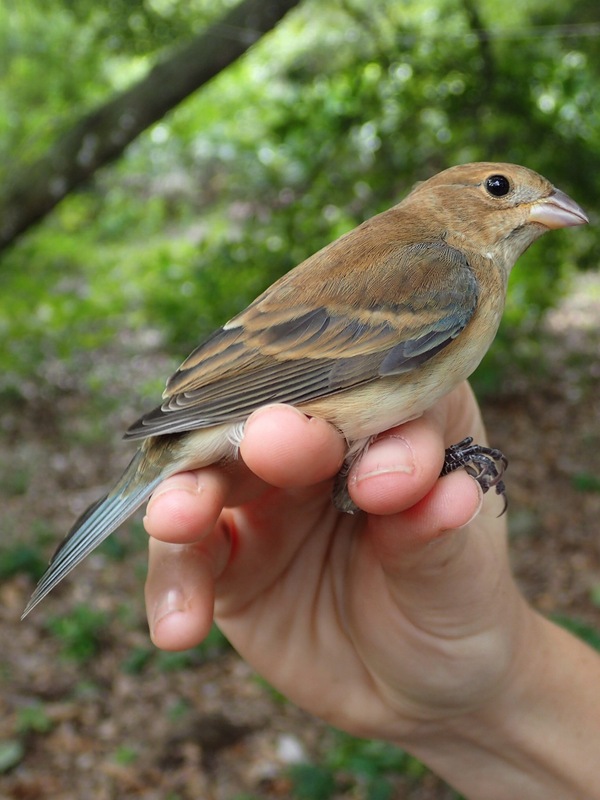 We kept hoping for a male indigo bunting but it wasn’t meant to be. 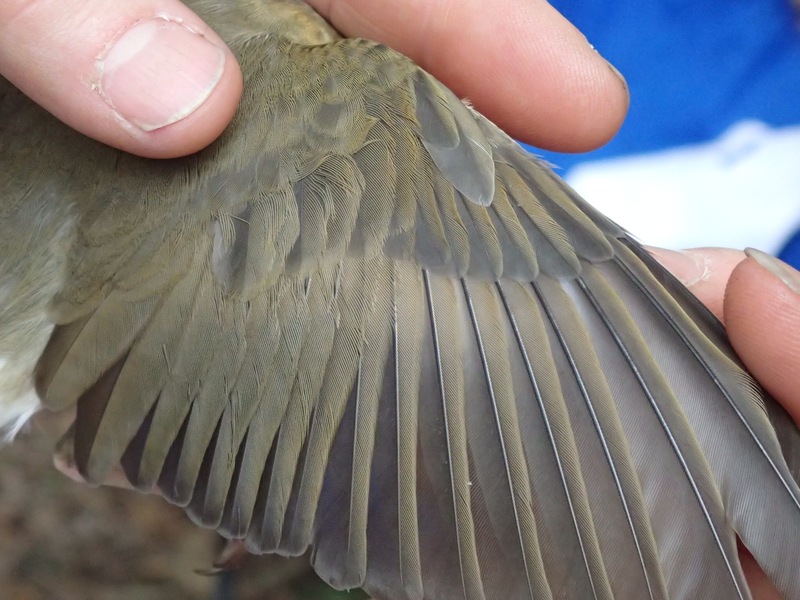 We only caught females and young birds. 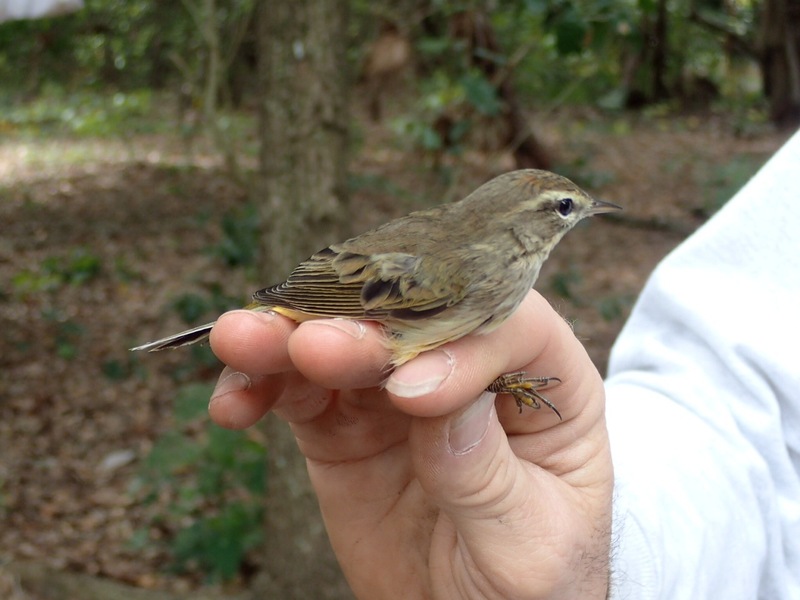 The other highlights from the day included a Swainson’s Thrush, Palm Warbler and a first for the station Swamp Sparrow. 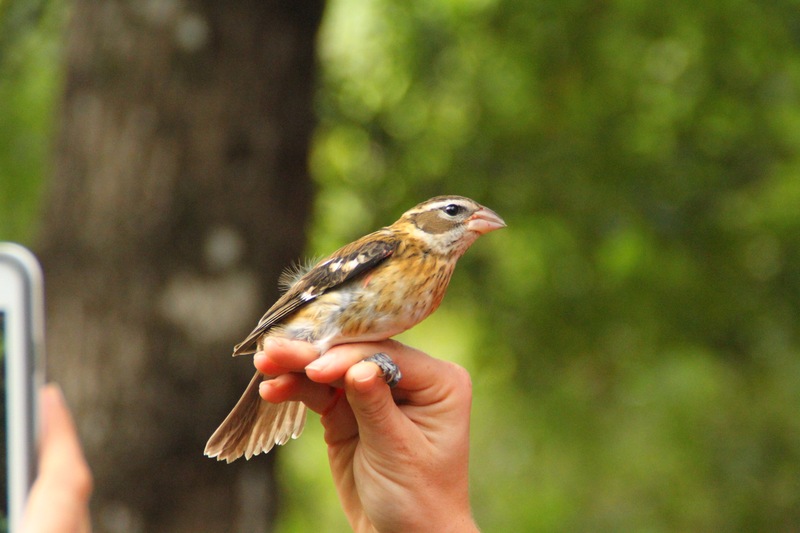 You really can’t appreciate the intricate beauty of sparrows until you have them in your hand! The subtle hues of gray, brown and rusty are quite stunning on the back of these birds. 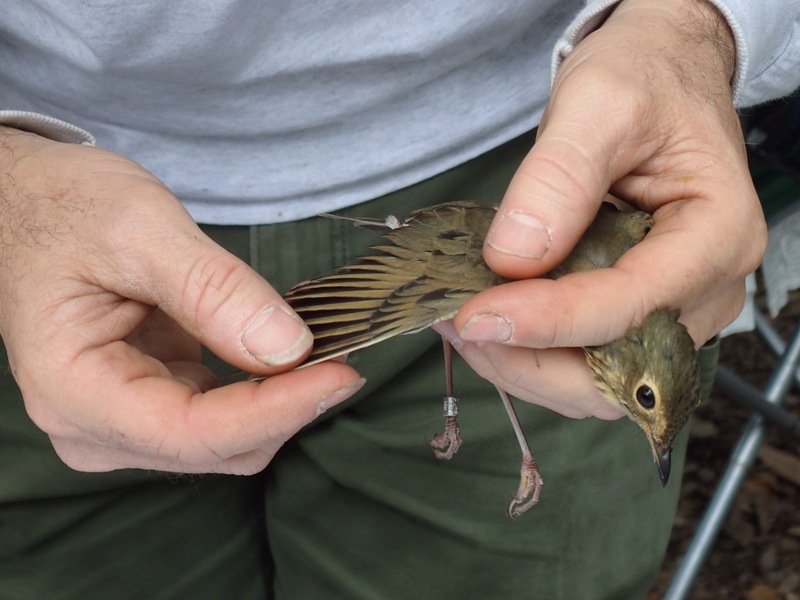 We had a total of 25 birds captured with 3 of them being recaptures. We are hoping for a big day the last two weeks of the season. We have a ways to go before we catch up to the 60 bird total from Fall 2014. It was “raining” Indigo Buntings this morning. All demure brownish birds but this one had a hint of the blue plumage.